As the New York Giants are likely to look to the draft to improve their secondary and attempt to replace Dominique Rodgers-Cromartie. Christian Campbell is a player they have shown interest in. 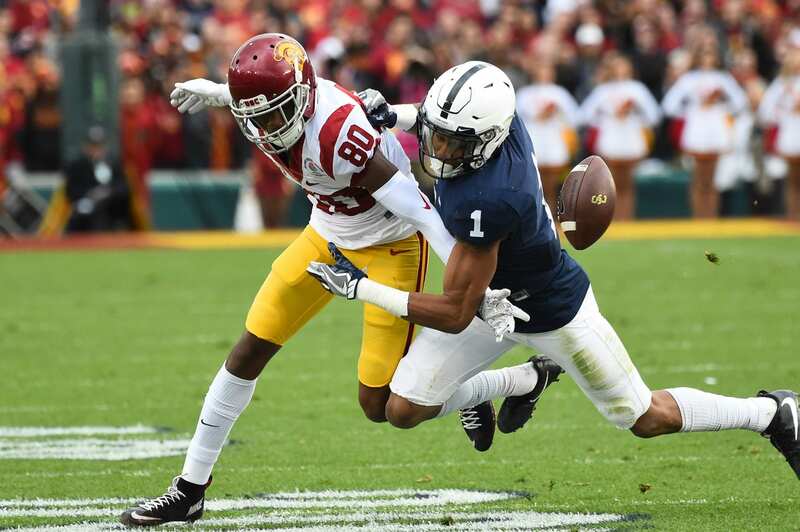 Last month, during Penn State’s pro day, the Giants met with the defensive back and they plan on hosting him for a visit later this month. Campbell, 6-foot-1, 190 pounds, has experience at both corner and safety with the Nittany Lions. Finishing 2017 as Penn State’s most consistent corner, Campbell has the size, speed, and work ethic to become an NFL starter. The Giants could be targeting Christian Campbell in the fifth-round of this years draft; he could potentially even be an undrafted free agent. Though he may not be a day one starter, he has the physical tools and work ethic to develop into a starting role. It would not be a surprise if he is drafted in the sixth or seventh round to the Giants and, with the proper coaching, become a quality starter.